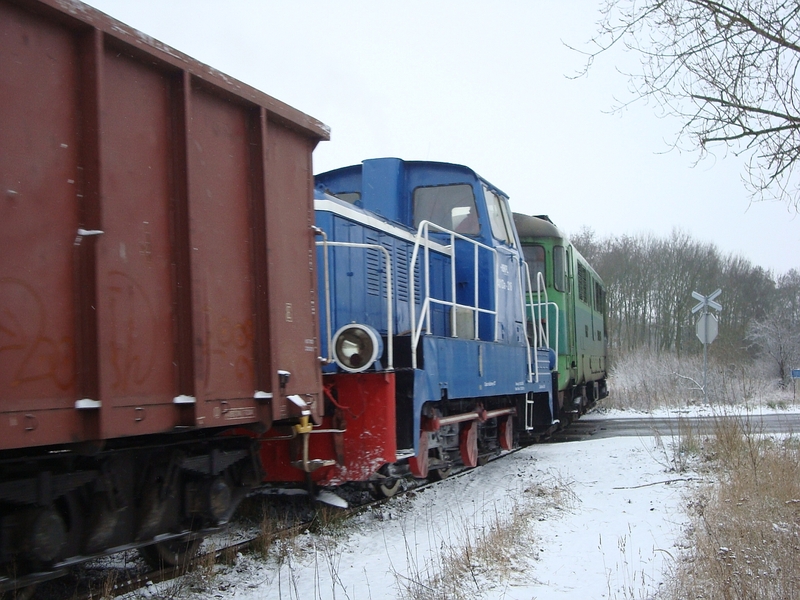 The last working in 2009 on the SKPL operated 750 mm gauge Kalisz Railway took place on 30 December 2009. Photo Michal Koscielniak. SKPL standard gauge shunter draws the vans off their transporter wagons. From here PKP Cargo will take the wagons on to the Pulawy Azoty works. Photo Michal Koscielniak. Orstein and Koppel 0-4-0WT 7900 built 1920 (ex Starachowice steelworks) and and ZNKT Poznan 0-4-0D WLs75-94 – Rogów (ex Lesmierz Sugar Refinery) on display in the open air in Rogow. 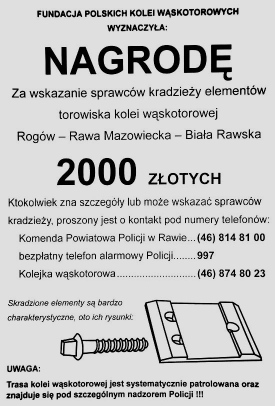 The Polish Narrow Gauge Railway Foundation (FPKW) is offering a reward of 2000 zloty for information regarding the identity of thieves who stole 780 screws and 260 base plates from the Rogow Narrow Gauge Railway in December. Thefts of track components and even rails are unfortunately all too common in Poland on lines that are only infrequently worked or are closed altogether. Posters offering a 2,000 zl reward for information leading to the identification of the thieves put up by the FPKW in the area where the thefts took place. Photo ©FPKW. Originally a 600 mm gauge Prussian military railway built to carry ammunition during WW II, the Rogow Railway dates back to 1915. In August 1954, it was re-gauged to 750 mm by PKP in 6 days! The last PKP passenger train ran on 9 June 2001, while freight services lingered on until September 2001. In December 2001, as a result of approaches made to the Rawa District Council by the FPKW, the District Council formally requested PKP for a transfer of the line. In November 2002, the Council obtained a licence to operate the line until the transfer of the freehold formalities could be complete. Seven years, later the transfer process is finally concluding. With the line’s short steep gradients, much of the atmosphere of of a military railway still remains and the line deserves to be better known by the English-speaking enthusiast community. 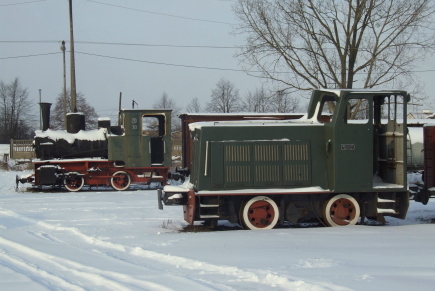 At the line’s base in Rogow, there is much to see: the overgrown remains of the line’s former interchange point with PKP, Poland’s second largest collection of narrow gauge rolling stock and a small museum dedicated to the history of the railway. Special trains can be booked any time over the whole 49 km of the line: Rogow to Biala Rawska. The FPKW also runs a scheduled service along the whole line in on one day in May in connection with the Rawa Mazowiecka Dni Rawy festival. In addition, on Sundays between April and October each year, the FPKW runs scheduled train services between Rogow and Jezow (7 km) and Rogow and Gluchow (16 km). A short video by Krzystof Lysiak from the KolejRogowska channel on You Tube, featuring a visit to the PSMK railway museum in Skierniewice, the Rogow Narrow Gauge Railway and an ancient Jelcz bus. Kolejowa Oficina Wydawnicza (The Railway Publishing House) prints the house journals for PKP S.A.’s daughter companies and also Przewozy Regionalne. On their website they carry this seasonal picture of Wroclaw Glowny station, with the comment that the car park and taxi rank in front of the station are shortly due to be replaced by a public open space. A walnut cake for Christmas! After extensive trials and development, we have revised our recipe for Babcia’s walnut cake. It is an ideal cake for Christmas. A photo will be posted later after we have baked our cake. BTWT – Babcia’s walnut cake recipe. Happier days. 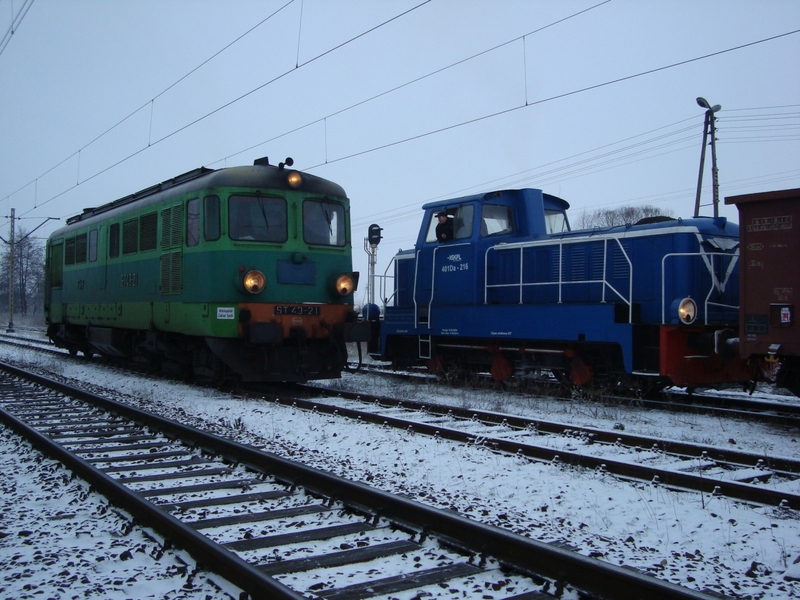 Railcar MBxd1-168 on a Krosniewice – Ozorkow Christmas special in December 2006. Photo SKPL. 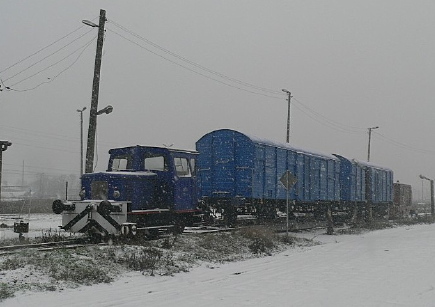 A number of Polish narrow gauge will benefit from EU-assisted restoration projects. One major railway project, within an hours drive from Warsaw, will fold. 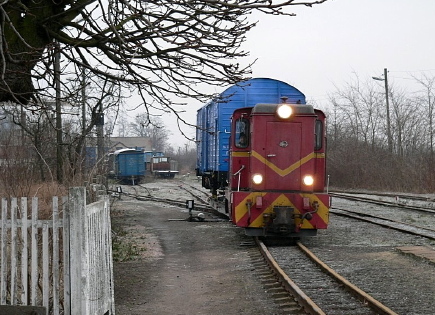 There will be attempts to revive a portion of the Krosniewice narrow gauge railway. The railway muszeum at Koscierzna will be taken over by one of the local authorities. There will be further attempts to discontinue the Wolsztyn – Poznan steam-workings. It will be interesting to review how accurate these predictions were at the same time next year! What about all the other unfinished stories from 2009? What will happen to the Railway Museum in Warsaw, the forgotten railway museum at Karsnice or the skansen at Pyskowice? Watch this space! Map ©Doe’s Directory of Bus and Rail Timetables, Web Sites and Enquiry Offices. Barry Doe produces a comprehensive series of fact sheets on the UK’s bus and railway services, all of which can be downloaded as pdf files from his website. I was particularly interested in seeing the map that he produced entitled, 2010 Great Britain National rail Passenger Operators, a thumbnail of which is reproduced at the head of this article. If anyone wonders why railway services are so expensive on this small island a glance at Barry’s map provides a big clue. The fragmented railway system that Britain ended up with after John Major’s botched privatisation is surely an object lesson into how not to reorganise a nation’s railways. One would have thought that consultants would be travelling around the world advising governments and railway companies on all the lessons to be learnt from the mistakes that were made in the UK. Unfortunately, the consultants, lawyers and bankers were the one group that did benefit from the UK’s rail privatisation. After surveying the field like vultures circling the skies looking for their next meal the papercrats descended on Poland where the politicians were stupid enough (or perhaps greedy enough?) to buy the UK privatisation model hook, line and sinker. Not content with separating railway operations from railway infrastructure, the Poles have gone one further and even split up the management of railway infrastructure into a number of separate companies. PKP S.A. owns the land on which the railway is built. PKP Linie Kolejowe administers the track over which the trains run. PKP Informatyka runs the computers which provides the rest of Poland’s railway companies with IT. PKP Energytyka delivers the electricity which keeps the trains running, PKP Telekomunikacja provides the telephone and Internet links and dozens of independent contractors are responsible for keeping everything running. Now there are proposals to fit locomotives with electricity meters! As the Jersey child abuse campaigner, Senator Stuart Syvret, regularly exclaims in exasperation, You couldn’t make it up! Paris, Gare de Lyon. Photo © 2005 David Monniaux. PKP bosses wondering how to spice up their dismal catering arrangements at Warszawa Centralna could do no better than to head out to the Gare de Lyon in Paris and grab a quick snack at Le Train Bleu, one of the best restaurants in Paris and without any doubt the best railway station restaurant in the world. Or if French cuisine is too great a stretch, they could go to London instead. For those who are interested in film noir, Besson’s Nikita gradually develops a conscience, rebels and escapes her captors, unlike her Canadian namesake who, after a long struggle, eventually accepts the philosophy of her tormentors. Sokoły Station saw regular freight trains until a couple months ago. Photo ©Referee via Kolejowe Podlasie. In October, we reported how Jozef Zajkowski the Wojt (Chief Executive) of Sokoly Council was battling with PKP to take over the disused Lapy – Ostroleka railway line. Now PKP – in a gesture that will remind older UK readers of the behaviour of erstwhile British Rail – have responded by selling the track in the freight sidings at Sokoly to a demolition contractor. Our mole in Podlasie says that if PKP think that this will deter Mr Zajkowski they have seriously underestimated their advesary. Double heading on SKPL’s Czempin – Srem line. 08:40 hrs, 14.12.2009. The driver of PKP Romanian built Co-Co ST43-21 asks the driver of SKPL’s Fablok built 0-6-0D 401Da-216 whether he might want some assistance. Photo ©kierownikpraktyk, SKPL. 09:15 hrs. After a short conference, the train leaves Czempin doubleheaded. Photo ©kierownikpraktyk, SKPL. 10:20 hrs. 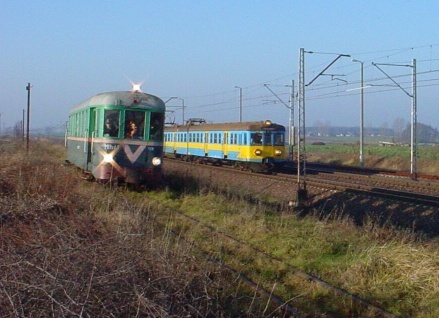 The train crosses the main road in Srem. Photo ©kierownikpraktyk, SKPL. Regular readers of BTWT may be wondering what new calamity prompted yesterday’s sad soliloquy and whether today’s post was really intended for Tunnel Vision. Rest assured, no new narrow gauge railway has collapsed overnight and there are no new plans, apart from those that we have already written about, to muck around with Wolsztyn. Instead of a single calamity, a series of unfortunate events culminated in a conference about how Polish regions could gain competitive advantage. The conference organisers not only invited me to speak, but actually paid me to do so, so you may be wondering why this attack of depression. Read on gentle reader, read on. It seems that the secret ingredient that this province is focussing on is tourism, and I was asked to speak about railway tourism. Professor after professor got up and spoke about really important matters such as the proper definition of tourism and what the word product really meant. During the morning panel discussion a distinguished professor got up to ask why the Poles were using words derived from English like: mapowanie (mapping), walidowanie (validation) and klaster (cluster). After spending 5 minutes outlining the reason for his question, he spent another 5 minutes hypothesizing on the answers that he expected the panel members would give, and then 5 more minutes commenting on the hypothetical answers that he never received. Learned professors like him regularly act as paid advisers on EU projects. By the time the second session started we were already running late. The chairman not only had to claw back some of the lost time, but also to make room for a member of the Polish Senate who just wanted to add his threeha’pence worth to the proceedings. I was booked to speak for 20 minutes and 15 minutes through my presentation, just as I reached the climax on how the Great Little Trains of Wales had created their own klaster in 1970, the chairman started making frantic signs for me to wind up. The whole junket was paid for from EU funds and I am sure left most of the participants even more puzzled than they were before they came. And if you would like a little more information about The Great Little Trains of Wales then click on the thumbnail above or on the links below. On really bad days when the forces of ‘progress’ score another victory, I withdraw from the outside world. In my own private virtual reality, I dream of working Welsh slate quarries with their spiders web of narrow gauge railways, ancient locomotives working ironstone railways in the Midlands and steam locomotives with funny Latin names pulling wooden wagons of ball clay through the Isle of Purbeck. Alas, Great Britain has been stripped clean of these special places, and Poland is trying so desperately hard to ‘catch up’. Soon the only remaining industrial railways in Poland will be just a few metres of track in some old fashioned saw mills. I Googled for ‘sawmill’ and searched hundreds of photos for that last piece of track, and then I found the above photograph and the truly amazing photography of Harald Finster. Click on the picture above to see the rest of Harald’s photos of Tyra Sawmill, then go and make yourself a cup of tea, lock the door and spend the next couple of hours exploring Harald’s amazing website. 2-8-0 Tr5-65 simmers quietly in Wolsztyn shed on the night of 4/5 December prior to its last run in service. Photo ©Tomasz Domzalski. Bearing in mind that nearly 700 locomotives of this class were constructed in Germany and that they worked in Austria, East and West Germany as well as Poland it is strange turn of events that the last example of this class found itself last week completing its last service run from Wolsztyn to Sieniawa Lubuska via Zbaszynek and Toporow. Tr5-65 started life in 1921 as Prussian State Railways 5312, an 0-8-0 goods engine, a member of the G8-1 class. It was built at the Berlin-Drewitz works of Orenstein & Koppel and initially based in the Stettin (Szczecin) division. In all some 5,000 G8-1s were built. They were designed by Robert Hermann Garbe, Head of the Construction of Superheated Steam Locomotives and Tenders at the Prussian Railway Central Office in Berlin, as a more powerful development of the Prussian G8 class. In this guise they had two main drawbacks, a maximum speed of only 55 km/h which made their use impractical on passenger services and an axle load of 17.5 tonnes which prevented their use on many lightly laid branch lines. Between 1934 and 1941 the Deutsche Reichsbahn rebuilt a total of 691 former G8-1s as 2-8-0s. The boiler was raised and extended forwards, the front of the frames was extended and fitted with a Bissel pony truck. The original cylinders and motion were retained, the resulting offset between the centre of the cylinders and the new position of the chimney giving the locomotives a somewhat ungainly appearance when viewed from the side. The result was the Deutsche Reichsbahn Class 56 steam locomotive. 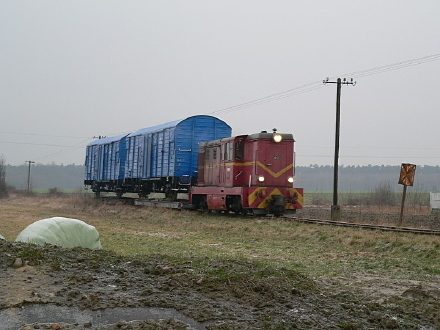 The pony truck make the Class 56s stable at 70 km/h and enabled them to be used on passenger workings. Their 16.2 tonne maximum axleload, made possible by sharing the weight of the engine across the 5th axle, allowed the engines to be used on a greater number of branch lines. Tr5-65, then Deutsche Reichsbahn 55 5607, emerged in its new guise as Deutsche Reichsbahn 56 511, after being rebuilt in Schneidemühl (Pila) in 1938. During WWII the engines were dispersed over a large part of Europe; many of the engines being assigned to the Eastern Front and many of these undoubtedly perished. After the War, most of their duties were taken over by the ubiquitous Deutsche Reichsbahn Class 52 ‘Kriegsloks’ 2-10-0s, which had a 15.0 tonne maximum axleload; and their demise was swift. The fate of the surviving engines in the Soviet Union is undocumented. The 5 engines that were taken over by Austrian Railways were all withdrawn by 1956. The Deutsche Bundesbahn took over 368 engines and withdrew them all by 1968. The East German Deutsche Reichsbahn kept last examples running upto 1969. PKP took over 66 locomotives giving them the classification Tr5. After initially working all over Poland they were concentrated in the Wroclaw and Katowice areas being allocated until the end of their working lives to the sheds at Legnica, Opole, Rybnik and Tarnowskie Gory. A few soldiered on into the early 1970s being employed on shunting duties. The very last example was dumped at Jaworzyna Slask in 1972 to wait for better times. 22 years later it was chosen to be one of the engines that was take part in celebrations commemorating the 150th anniversary of railways in the territory of Poland that were to take place in 1975. Its restoration to working order was carried out in the rolling stock workshops at Pila. In spite of undergoing an intermediate overhaul in Gniezno in 2004, and a heavy overhaul at the same works in 2007, Tr5-65 has a worn out boiler and its ticket expired on 5 December this year. That day it hauled a farewell special organised by the ‘Friends of Wolsztyn Steam Depot’ which ran from from Wolsztyn to Sieniawa Lubuska. So ends the latest chapter of Tr5-65’s history. It joins a long line of Wolsztyn engines waiting for better times: Ol49-111, Pm36-2, Pt47-112, Ol49-23, Ol49-69, Ok1-359, Ok22-31 all of which were in working order only a few years ago. Passenger train on Nasielsk – Pultusk narrow gauge railway in 1978. Note freshly relaid track. Photo ©Klaus Meschede. 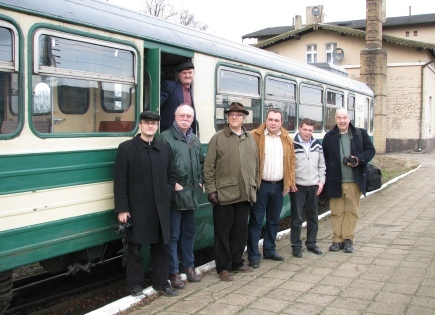 The Drehscheibe Online discussion forum has become a valuable repository of photographs illustrating the work of German railway enthusiasts documenting the changing railway scene not only in their own country, but also in Poland. One member of the forum, under the username Borsig0310, has posted a series of photographs taken in Poland in 1978. The Nasielsk – Pultusk photographs (which can all be seen by clicking the heading photograph) carry a special poignancy. Some 3 – 4 years ago I helped organise a meeting in Pultusk Castle with all local authorities along the line in a last-bid attempt to save the line, but alas to no avail. Two other sets of photographs posted by Barsig0310 also taken in 1978 cover a trip to Pyskowice, Chabowka – Nowy Sacz line, and Jaslo, and also steam at Legnica, Wroclaw, Strzelin/Strehlen, Ziebice, Otmuchow, and Raclawice. All of the photographs are credited to Klaus Meschede. I would dearly like to establish contact with Borsig0310 and Klaus Meschede, but having no German the task is next to impossible. If any BTWT reader could help, please write to me at the usual address: railfan [at] go2 [dot] pl. A final treat, three pictures by Bremerbahn were posted on the Drehscheibe Online in 2007. They illustrate standard gauge steam at Plott, Sczecin Glowny and near Golczewo. The photograph of a standard gauge Ol49 crossing a metre gauge Px48 taken near Golczewo carries special memories. I caged a cab ride on the Stepnica – Golczewo section in 1974. Though little older than a schoolboy at the time, this was the first railway in Poland that I tried to sell to the powers that be as a potential tourist attraction. Unfortunately, as far as the Stepnica – Golczewo – Gryfice section was concerned, I failed miserably! Andrew Scott, Director of the National Museum of Science and Industry, investigates the parentage of the ex Krakow Waterworks engine on 28.11.2009. 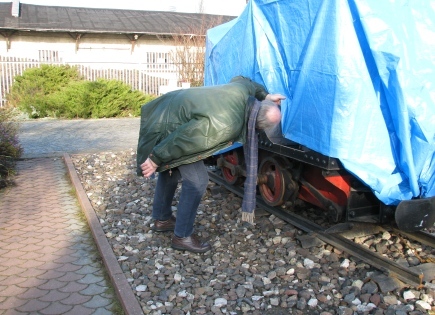 Ferdynand Ruszczyc, the Director of the Railway Museum in Warsaw, has not been having a good month. Last week he was asked to resign from his other job, director of the office coordinating the Chopin 2010 festivities. On 28th November Gazeta Stoleczna, the Warsaw supplement to Poland’s best selling daily Gazeta Wyborzca, carried an article under the headline Muzeum Kolejnictwa jak prowincjonalny dom kultury? (Railway Museum like a provincial arts centre?) which questioned Mr Ruszczyc’s approach to running the Railway Museum. Mr Ruszczyc responded by demanding that Gazeta Wyborcza print an apology and threatening the authors of the article with legal action; the next day he read in the same paper that Ludwig Rakowski the Deputy Governor of Mazowsze province has ordered an investigation into the way that the Railway Museum is being run. Why the firestorm? Some Warsaw railway enthusiasts allege that Ruszczyc is more interested in promoting himself than the Railway Museum and that money that he has spent on art exhibitions and fashion shows would have been better spent on restoring his exhibits. The final straw for them was when Ruszczyc moved outside a small industrial locomotive that had graced the Museum’s entrance lobby for many years. The locomotive – a tiny 1920s vintage single cylinder diesel similar in appearance to the small industrial engines manufactured by Orenstein & Koppel A.G. – is the oldest such locomotive in Poland. However, the simplistic analysis is almost certainly wrong. Under Ruszczyc’s predecessor, Janusz Sankowski, who sat in the director’s chair for 17 years, certain priceless exhibits ended up as gutted wrecks or were even cut up for scrap, while the Museum itself faded into obscurity. The popular press ignored the affairs of the Museum and the demise of its exhibits. In comparison to Sankowski, Ruszczyc has been a breath of fresh air. The Museum has been given a coat of paint. A number of special events have been held in the Museum to raise its public profile. A special educational programme has been put together for school visits. A delegation from the Museum visited the NRM in York to see how railway museums were run in Great Britain. So why is Ruszczyc getting such a bad press? One theory that is doing the rounds – albeit there is only circumstantial evidence to back it up – is that Ruszczyc is doing too good a job. PKP has decided that it is time to dislodge the Railway Museum from its Warszawa Glowna location – a prime development site and the Museum is fighting for its survival. Ruszczyc has dug in his heels to stay at the Warszawa Glowna site, engaging Greogorz Gomula a brilliant young Warsaw lawyer, to defend the Museum’s position. He has received some useful support in his campaign from the British – Polish Railway and Industrial Heritage partnership – a pro heritage rail lobbying group – who have coordinated a letter writing campaign which resulted in letters of support for the Railway Museum from some influential supporters in Europe. These letters in turn encouraged a couple of Polish ministers to declare their support for the Museum. Connecting the dots it would appear that somebody who stands to make some big money from the Warszawa Glowna development has decided that Ruszczyc has to go. VIPs at Smigiel. Left to right: Marek Ciesielski, Andrew Scott, David Morgan, Tomasz Strapagiel, Karol Waszczak and Gordon Rushton. The driver looks down from the open door. Theory number two is that Krzystof Chalupinski, who has been the Museum’s Deputy Director for many years, covets the top job himself and has calculated that if Ruszczyc is disgraced, he has a good chance of landing it himself. It is certainly is true that those people who have told us their doubts about Ruszczyc also regularly talk to Chalupinski. It would also appear that Chalupinski has been conspicuous by his absence at the recent special events organised by his boss in the Museum. Perhaps, the strongest evidence that Chalupinski is playing a devious game, is his strange behaviour with respect to the Railway Heritage and Society conference recently organised in Warsaw by the British Polish Chamber of Commerce and Fundacja Era Parowozow. Adressing the conference would have been a great opportunity for Ruszczyc to face his critics and to explain his strategy for raising the Museum’s profile. At first, all boded well. Ruszczyc agreed to speak at the conference and that the Museum would make a small donation towards the secretarial costs of organising the event. The Museum was also to appear as co-organiser of the event. Mr Ruszczyz even wrote to Andrew Scott, the Director of the National Museum of Science and Industry inviting him to come to Warsaw and give a presentation. In the event Mr Chalupinski persuaded Mr Ruszczyc to renege on all his promises and all but ignore the event. Mr Ruszczyc never met Andrew Scott and all the other VIPs who specially came to Warsaw, and it was left to Paul Fox, the Deputy British Ambassador, and Tomasz Strapagiel, the Chairman of SKPL to provide the distinguished visitors with the welcome that they deserved. It may be that neither of the two theories outlined above is true, it is also equally possible that both are true. However, one thing is certain – Mr Ruszczyc’s behaviour shocked the VIPs who came to Warsaw because they wished to help him to save his Museum and its collection. Ol49-59 hauling train No. 77325 consisting of three 120A coaches from Wolsztyn to Poznan Główny approaching to Luboń kolo Poznania station. Photo Radomil Binek. 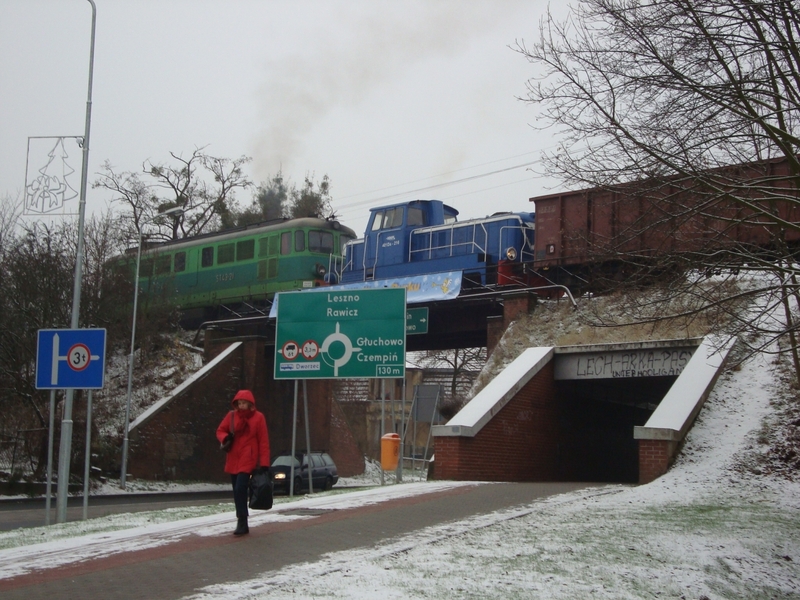 On Monday, the Wielkopolska regional government made an announcement that funding has been approved to ensure that the two steam-hauled turns between Wolsztyn and Poznan will be maintained during 2010. So Wolsztyn is saved and we can all relax in our armchairs? Well, perhaps not. The Wolsztyn crisis reoccurs with tedious regularity and the fact that it does so year after year suggests that someone has an agenda. We sent in our agent 003½ to investigate. This is his report. There are four agendas, being pushed through by four different people. Some of the players have more than one agenda. Some of the agendas have more than one proponent. Some of the proponents would probably not publicly admit to having these agendas. Agenda item 1. Strip Wolsztyn out of the PKP Group and let the Wielkopolska provincial government operate it as a tourist attraction. Juliusz Engelhardt, the Under Secretary State at the Ministry of Infrastructure responsible for Poland’s railways has been heard promoting this view. It is thought that Egelhardt wants to strip unnecessary costs from PKP Cargo to clear the way for Cargo’s privatisation. Jerzy Kriger, the Director of Transport at the Wielkopolska provincial government has also been heard pushing this development. It seems likely that Kriger wants to run a low-cost railway with modern railbuses and does not want his career prospects spoiled by being associated with anything as sentimental as steam services. Tomasz Wiktor, the Director of Tourism at the Wielkopolska provincial government is also thought to favour this solution. The fact that the infrastructure committee recommended cutting the 3 million zloty subsidy that goes to maintain the daily steam turns and ‘giving’ the money instead to the Tourism Department makes it probable that Mr Wiktor has been busy lobbying behind the scene. Agenda item 2. Shorten the Supply Chain. (Currently the provincial government gives a subsidy to Przewozy Regionalne which is responsible for local train services. PR in turn then pays PKP Cargo to provide the steam locomotives which haul the Wolsztyn turns. Jerzy Kriger is thought to favour stripping out all the Wielkopolska local train services from Przewozy Regionalne and running them himself as Koleje Wielkopolskie. Agenda item 3. Get the best possible deal from Przewozy Regionalne for operating the Steam Services. It is known that PR originally requested a much higher subsidy for running the steam services in 2010. After some brinkmanship Jerzy Kriger managed to push PR back to the same price as was in force in 2009 with an adjustment for inflation. Agenda item 4. Incorporate Wolsztyn Shed into the new Wielkopolska Railway Tourism Project and run steam specials for tourists trains all over province. It is thought likely that this is the position held by Tomasz Wiktor and also Ewa Przydrozny the Manager of the Wielkopolska Tourist Organisation. Mr Wyktor is Mrs Przydrozny boss. Her office is currently working on creating the Wielkopolska Railway Tourism strategy. So if 003½ is even half right, it would seem to be premature to put away your pens just yet. ul. 27 Grudnia 17/19, Vp.